The ideal replacement for the discontinued YSI Model 85. 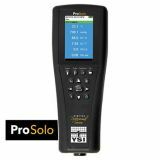 The Pro2030 provides everything you need in a handheld dissolved oxygen meter that automatically compensates for changes in salinity values. Rugged, simple and reliable. Measure DO, salinity, conductivity, specific conductance, TDS, barometric pressure and temperature. "YSI did a great job on this design. Our staff of about 20 people consists of old veterans to recent college grads, and not one so far has had a negative comment." User-replaceable sensors and cables and convenient Quick Cal feature makes it extremely user friendly. Mil-spec (military spec) connectors, IP-67 waterproof and rubber over molded case, and 1-meter drop tests ensure the instrument remains in your hands to provide years of sampling even in the harshest field conditions. The feature set of the Pro2030 results in a low total cost of ownership over the life of the product and proves that it is smarter, tougher, and more versatile. 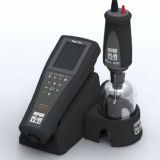 Fast response times with the Polarographic or Galvanic DO sensor allows you to complete your sampling routine quickly. The long life of the Polarographic sensor saves time and money and reduces your overall cost. The Galvanic sensor enables you to start sampling immediately without a warm-up period. Either sensor you choose for the field will give you accurate, quality data. 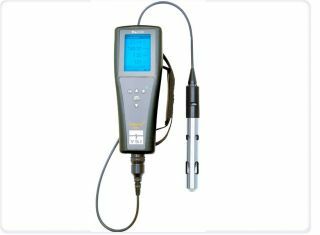 The super-stable 4-electrode conductivity cell is built into the cable and will provide years of accurate data. The cells are designed for rugged field performance and are easily cleaned and require minimal maintenance. 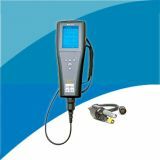 When ordering the Pro2030 you must order the instrument, cable, and DO sensor separately, allowing you to choose the system that best fits your application. Conductivity is part of the cable you order and included in the cable purchase. Please visit our dissolved oxygen parameter page to learn about all things DO and BOD related. 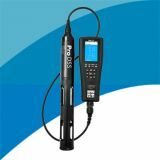 Simply the best handheld optical dissolved oxygen instrument on the market. See you at IWA 2018 Booth #114 in Tokyo! Xylem Analytics Australia was established in 2008 to support the growing YSI & SonTek customer base in Australasia. 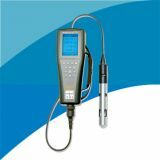 As leaders in the supply of instruments to the water resources market, both YSI & SonTek realize the importance of this commitment. With our constant stream of innovative products we are connected to our Australasian customers, we want to assist in ensuring that you collect data of the highest quality – reliably. Copyright © 2017 Xylem Australia Ltd / Xylem Inc. All Rights Reserved. Specifications on all products subject to change at any time.